When you have a family of your own, you are not just responsible for your own health and well-being but are also responsible for the people around you in your house. Everything that you do will not only affect you but have a direct or indirect effect on your family as well. It is easy to shape a child’s brain by being the prime example of what you are preaching them to be. If you want your child to be a grown up with good mannerisms and respect for everything that nature has blessed us with, then you would need to show them how to be loving and caring. Similarly, the groceries that you bring and the food that you eat not only supplies you with nourishment but your children and your partner as well. You may have a healthy balanced diet which will undoubtedly be adopted by your family. Yet things may get complicated if you have a workout routine and you want to include your kids along with you. Most exercises that you do in the gym are not appropriate for kids under the age 16 to be performed. So here are a few exercises that you can do as a family. Walking is one of the healthiest and easiest out of all forms of exercise. All you need is to go out to the street and decide which direction to go to. Going for a walk before a meal, or 30 minutes after consuming a food is a good daily exercise to stay fit. This will not only provide you with exercise but also lets you spend quality time with your family. You may decide how long you want to keep the walk, especially depending on the age of your children. If they are below 5, you may want to keep the walk 15-20 minutes long as longer walks can tire young children quickly. If you do not get enough time for an everyday walk around dinner time, then you can incorporate small walks in your kids’ routine by some other forms. While picking them up from school, you may park your car farther away so that they can have a small exercise. Or if you are visiting a shopping center with them, take the stairs instead of elevators or escalators. You may use the family TV time to have small breaks of exercises, such as during commercials you can plan squats, pushups, crunches or some warm up exercises. If you kids are of the stay-at-home kind and would rather play video games than do something else then make their activity into an exercise for them. Go to gaming arenas that provide exergaming. These games use technology that will require you to move around so that you can play the game successfully. This will result in you exercising your muscles while you play, which if done regularly, can assist you in staying in shape. When kids are growing up, they have different capacities of lifting weights which means that you will need to treat them differently based on their age and strength building. 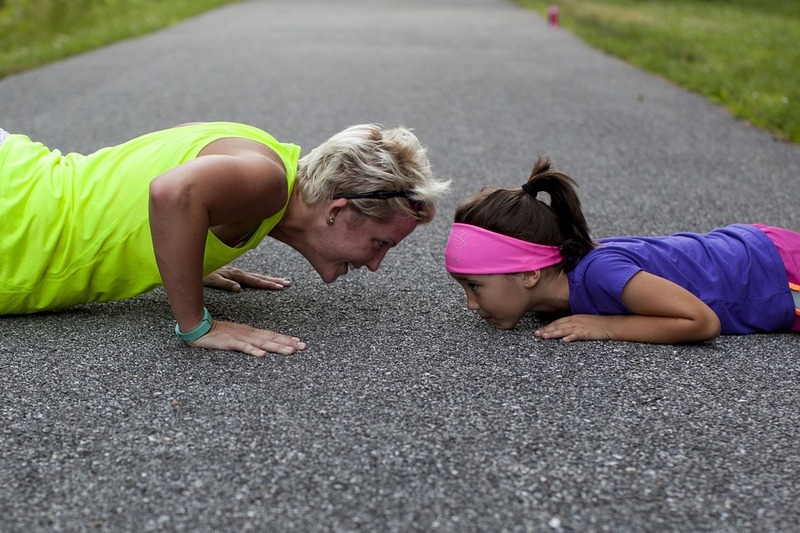 Exercises that involve core building muscles can be done so at nearly any age, however, strength training should wait until your kids are well into their teen years. Either have a combined gym membership for your family so that you can work out together, or you may also purchase some small equipment on your own and have workout sessions at home. Doing activities such as these will not only strengthen your bond with each other but will let you build a better and healthier life. You will be able to motivate each other to be in good shape while providing assistance to each other during your workout routines. This entry was posted in Uncategorized on July 26, 2017 by Calgary's Child. Summer is short in Calgary, so everybody wants to make the most of it – unfortunately, sometimes that means it can be an expensive season. Want to enjoy cheap or free family activities in Calgary all summer long? We’ve got all kinds of options for you! Splash Parks and Wading Pools. Beat the heat and enjoy the summer weather in Calgary by visiting one of our many wading pools, spray parks and outdoor pools around the city. These are totally free and a great place to cool off on a hot day – don’t forget your sunscreen! Wading pools, spray parks and outdoor pools are typically open from mid June (weather dependent) until fall. Find locations here! Inglewood Bird Sanctuary. The Inglewood Bird Sanctuary and Nature Centre is totally free to enjoy and has been providing migratory birds with a place to rest their wings since 1929. That’s more than 80 years of conservation! To date, 270 species of birds, 21 species of mammals and 347 species of plants have been recorded at the Sanctuary and Nature Centre. The Nature Centre is open to visitors. The centre has interpretive exhibits and information about local wildlife and parks, and there are occasional programs for visitors. Visit the website for more information. Stay N’ Play & Park N’ Play. Looking for free, high-quality programs for your kids this summer? 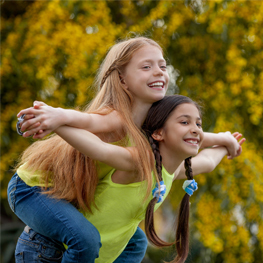 These safe, supervised programs are designed to help children make new friends and learn fun activities to help them on their path to healthy and active lifestyles. Programs run weekdays and are weather dependent. Look for more details at calgary.ca/cns. Mobile Adventure Playground. The City’s mobile adventure playground is back this summer in a park near you. The playground runs from now until September 29. The mobile adventure playground is not a registered program, but a playground that offers a different way to play. Onsite play ambassadors are there to inspire play and keep the playground safe, but not directly supervise the children. Parents are encouraged to stay and watch their children play and see how their imaginations soar in this new adventure space. Visit Calgary.ca to see dates and locations. Bow Habitat Station. Marsh Dipping Tuesdays go on all summer long – for just $4, have buckets of fun in the Interpretive Wetland’s marsh discovering the critters who make their home there. Check the website for more information. Spruce Meadows Movies at the Meadows. For just $15 a carload (if you buy ahead,) enjoy a family movie at Spruce Meadows every Wednesday night at dusk from July 19 – August 23. Bring a chair, blanket and friends and enjoy a movie under the stars! Popcorn, movie treats and meals are available to purchase on the lower Plaza, so feel free to come early. Check the website for movies. Visit a New Playground. Calgary is home to an incredible variety of public playgrounds! A memorable day out can be as simple as checking out one your kids have never been to before. Calgaryplaygroundreview.com is a wonderful local website featuring reviews for dozens of playgrounds across the city. Glenbow Museum. The museum offers free admission from 5pm – 9pm on the first Thursday of every month; perfect for a quiet summer evening! Play a Game at Pips Board Game Cafe. For just $5 per person, play as many board games as you want for as long as you want – kids under 3 are free. Parents play for 1/2 price on Monday! Pips has a great selection of games suitable for kids; just ask! Grain Academy Museum. This completely free museum is located on the plus 15 between the LRT and the BMO Centre at Stampede Park. Guests can watch a video depicting how the prairies were settled, watch a working grain elevator demonstration, view a model train display showing the movement of grain from the prairie to the terminals at Vancouver, and much more! Check out the website. Cineplex Family Favorites. Every Saturday morning at 11am, watch a family favourite film for only $2.99! A portion of the proceeds goes towards supporting Free The Children. Check the locations and movies here. Crafts at Michael’s. Michael’s offers crafts and art projects for kids at extremely low prices a few times a month. Options vary depending on your local store, but prices start at $2. Check the website for your store’s calendar. Projects at Home Depot. Hands-on Workshops designed for children ages 5 – 12. Held on the 2nd Saturday of each month at all The Home Depot stores. Each child can bring home a newly constructed project, an achievement pin and certificate, free of charge. Check the website for more information. Devonian Gardens. While most of the gardens are still closed for repairs, the playground is now open! Perfect for a rainy day. Check the website for more information. Calgary Public Library Programs. There are a huge variety of free programs for kids of all ages offered at library branches across the city; register online here! This entry was posted in Uncategorized on July 5, 2017 by Calgary's Child.